Since this past Saturday, November 4, was the memorial of Saint Charles Borromeo, I thought I would briefly share with you his Marian Prayer, which is also tied into his prayer for holy priests. St. Charles Borromeo is the patron of catechists, Bishops, Cardinals, seminarians and spiritual leaders. He was born on October 2, 1538 and passed into Eternal Glory on November 3, 1584, at the age of 46. He was a great Bishop of Milan and a true leader in the Catholic Church when the Church need leadership greatly. 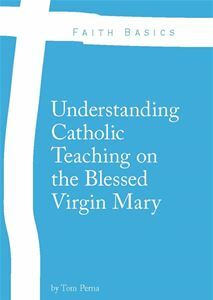 Not only did forbid the selling of indulgences, which the Church always said was wrong, he educated his lay faithful as well as his clergy, since so many of his clergy were poorly catechized initially. At a time when the Protestant Reformation was gaining ground, this great Saint taught fearlessly and with great vigor the doctrinal teachings of the Church and stood his ground against the incoming onslaught of the Protestant revolution. On May 12, 1605, Pope Paul V beatified him and eight years later, on November 1, 1610, he was canonized by the aforementioned Pope. To learn more about the interesting life of this 16th century saint, I could encourage you to read about him here. There is also a short video in that link that teaches on the saint. your Son has chosen to serve the church. in the service of God’s people. Help them to administer the sacraments with joy.